Senior chemistry major Jacob Dalton, 23, likes to say that everyone should be a chemist. He wasn’t always so enthusiastic about chemistry, but one research project changed his mind. During his first year at UI, Dalton, of Shelley, Idaho, considered declaring English as his major and becoming a writer, but remained unsure of what he really wanted to do with his life. While taking his general education courses, he discovered a new interest in the College of Science. With no idea of what he would study or how to do research and with no previous research experience, Dalton approached his organic chemistry professor and asked to participate in a project. That opportunity has helped Dalton discover what he wanted to do with the rest of his life. He says he is glad that he got up the courage to take a chance and try something new. Jacob Dalton conducts an experiment in a chemistry lab. Dalton’s involvement in undergraduate research helped him to find a passion for science and research. He loves the hands-on experience that participating in an interdisciplinary research project gives him. “People always ask, ‘Is there a practical application for what we’re learning?’ and research can help you answer that question,” he says. Dalton is participating in a cutting-edge interdisciplinary research project that is dedicated to discovering environmentally friendly ways to increase the chemical reactivity of clay. 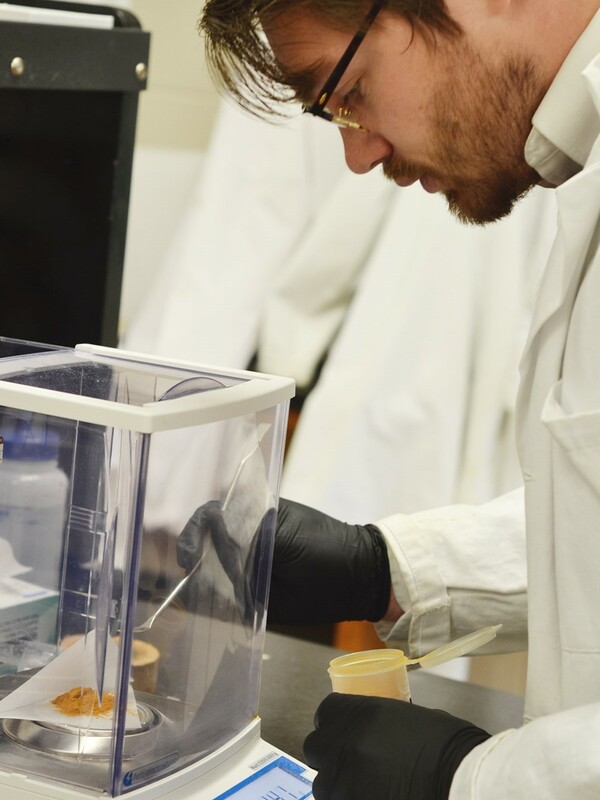 Dalton and his colleagues began by modifying naturally occurring clay in the lab, and now are able to synthesize their own clay in a geology lab and modify it in a chemistry lab. By making their own clay, researchers can control and improve the different properties in the clay. This project is distinctive in that two different disciplines are collaborating and cooperating to make new discoveries. Dalton is learning things about not only chemistry, but geology as well. He gets to use machines that are usually only used by geologists. Only a handful of researchers have even experimented with modifying clay and none of them have studied the subject as extensively as Dalton and the other researchers at UI. "I think it's cool that we take something that you don't think about, like dirt or clay, and doing something useful with it," Dalton says. Dalton loves research so much that he decided to make a career out of it. He will be completing his undergraduate degree at UI in May 2016 and will move on to complete his doctorate at University of California, Davis. 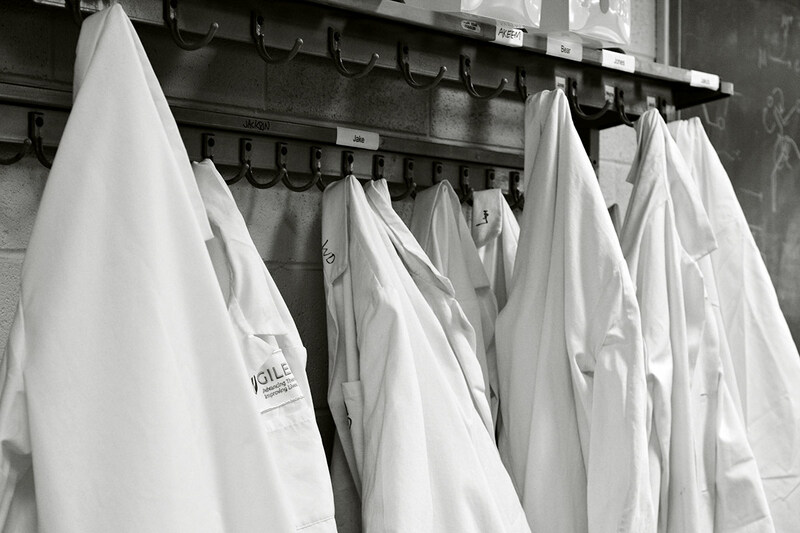 Lab coats hang in a chemistry lab. Writer: Charissa Chappell, a freshman from Twin Falls, is an English major with a literature emphasis. She wants to work in fiction publishing when she graduates.